One day when Little Quack is playing in the pond, he hears the strangest noise in the distance. He listens closely along with his siblings, Widdle, Waddle, Piddle, and Puddle, only to find that it's a frog in their pond. The other ducklings aren't so sure about taking this new guy under their wings, but Little Quack is determined to make a new friend, no matter how different he may be! 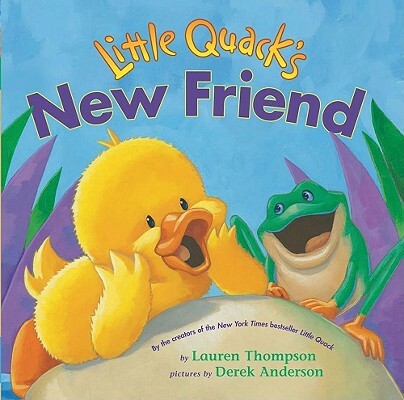 In no time at all, everyone is squishing in the mud, splunking on lilypads, and quacking up a splash in the spirit of friendship in this board book edition perfect little ones!